Sprains, strains or tears? Oh my! Sprains, strains and tears happen, but do you know the difference? 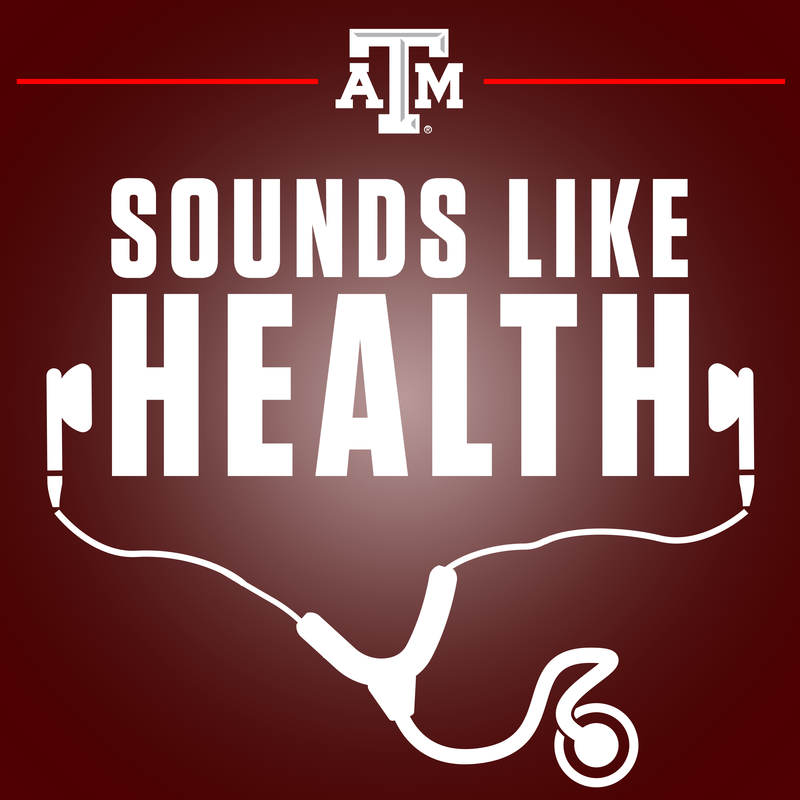 Martin Mufich at the Texas A&M College of Nursing explains what you need to know. Mary Leigh Meyer: Howdy! Welcome to Sounds Like Health. I’m Mary Leigh Meyer. Mary Leigh Meyer: And we are here today with Martin Mufich. He’s with the A&M College of Nursing. Welcome to the show. Martin Mufich: Thank you very much. Mary Leigh Meyer: Oh my! And what that means, and what you need to do with one, and how can you prevent them in the future. So, let’s get started. What is a sprain, what is a tear, and what is a strain? Martin Mufich: Definition-wise, a sprain is a stretch of a ligament. Ligaments are these bands of fibrous tissue that keep the joints together—the white stuff that you see around. They don’t get a lot of blood flow, they don’t have a lot of flexibility. A strain is also a stretch, but it’s more of the tendon or muscle that attaches to that joint area. Then a tear can be a tear of a ligament or a tendon or a muscle. Sam Craft: How can you tell the difference? I guess, is it really down to a medical procedure to tell the difference like an MRI or something like that? Or can you feel it, the difference? I mean, a trained professional could? Martin Mufich: I think that people that are trained like sports trainers, they have these little movements that they can use to see if maybe the ligament is torn versus maybe a tendon, but usually it’s somebody—a professional—checking it out whether it’s a diagnostic like an MRI or whether it’s a trainer using one of their techniques. Sam Craft: Like with an ankle sprain? Sam Craft: I think that’s the normal. Sam Craft: Your elbow? You don’t sprain your elbow or your fingers? Mary Leigh Meyer: I can strain my elbow. Are these locations specific on the body? Martin Mufich: I would say it’s not so much location specific, it’s the cause. It’s the cause of it. When you think of a possible sprain towards a ligament, a lot of times that’s because that joint has moved into a natural area, like you slipped off a curb, or twisted your ankle on a rock, or a football injury where you’re getting hit sideways on the knees. A sprain is something to do with the ligaments around that joint. Now whether that’s just a natural movement of that joint like you’re slipping off of a curb or a rock, you’re trail running, or you’re getting hit, possibly. Maybe if you’re thinking about football or soccer. A strain, on the other hand, is where there is muscle, some type of a muscle issue and/or tendon issue, maybe even possibly a tear, and it can be slightly torn when you think of body builders or people that lift a lot of weights. Those microfibers get torn all the time, so they rebuild so they get bigger, correct? But if there’s a lot of these fibers or maybe all of ’em get torn, that’s another situation, but there’s a lot more factors that have to do with that as far as the stretching of that muscle. There’s a lot more blood flow to that area. There’s fluid to that area. If a person gets dehydrated, that can affect how that muscle works. So, that’s kind of the basic difference. Mary Leigh Meyer: And strains can get better on their own, right? You don’t need to necessarily do anything special to it…except just avoid using it? Martin Mufich: Well, both of those, the bottom line is you can put any term you want to on it. It’s just not working like it needs to. That’s the bottom line, and so there’s things you can try to do. Most commonly known is RICES type stuff, where it’s rest, ice, compression, elevation, and then, if you need to do it, stabilization like if you’re out doing trail running and you’re hiking in the mountains. You need to try to stabilize that somehow. Mary Leigh Meyer: And that’s like you wrap it. Martin Mufich: You can wrap it. So, some people, some athletes, types of athletes will proactively stabilize those areas when you think about trail runners, hikers that use specialized boots, football players, ice skaters that wrap ankles, basketball players that wrap ankles just to get that stability prior to the event itself. Sam Craft: What about…while we’re on the sports topic, there’s a lot of talk about ACLs, MCLs, sprains and tears. That’s a really serious injury. So, when someone tears one of those things or sprains, what exactly is happening? ’cause I always hear tears, but I think of something like snapping. Is that really what happens? Martin Mufich: When it comes to tears, as with many things in medicine, there’s grades, like a grade one is maybe just a stretch. Grade two, grade three is like a complete tear when you think of people that have a complete tear of an Achilles tendon, where that muscle is completely away from its attachment. Obviously, that’s a lot more serious, and many times it requires surgery, probably most all the time if it’s a complete tear. Mary Leigh Meyer: Do the grade ones ever progress into grade two or three? If you don’t take care of it when you get it, will it ever tear more? Martin Mufich: So, that’s a great question, and when you’re thinking about ligaments, kind of that fibrous tissue, it doesn’t get a lot of blood supply. Okay, so a lot of times it can’t remodel itself. It is torn and you’re always susceptible to that. So yeah, many people that have those issues, you’ll see runners maybe just have one leg wrapped more than the other, a knee, et cetera. So, that’s something you always have to be mindful. From a personal story, when I used to do a lot of trail running in Central Texas, I had a couple real bad ankle sprains and I think they were strains as well ’cause there was all sorts of issues going on. But not only do I have a susceptible right ankle now, but it got into my head to where you encounter a steep decline with a lot of rocks and you start getting really tentative about your ability to maneuver through that. Martin Mufich: Yeah, it happens all the time, and just things to think about to hopefully help with that is knowing it’s great to push your limits, but know your limits, and know that you’re gonna get fatigued. If you’re trail running, many people will run four miles out, four miles back. Well, those four miles out are great and you’re having a good time, but when you start coming back, all the sudden you see your feet. And your feet are not lifting up like they did, and you’ll catch that root and tumble or somebody that’s getting really fatigued and not paying attention that much might slip off the curb or a sidewalk and injure themselves. Mary Leigh Meyer: That I kind of hurt my back a little bit for the next day or two. So, it’s kind of important, right, to get those checked out? To make sure you’re taking proper care of it? Martin Mufich: Yeah, when you think about it, the idea is some people, they kind of just think of that as just one area, but there’s been lately within the last, probably, jeez, I don’t know, maybe five to 20 years, there’s this idea of anatomy trains, right? So yeah, maybe it’s your foot. You think of basketball players, how your foot strikes, but it’s going all the way up your body, through your legs, through your muscles, and a big part of it’s the core. A big part of it is the core, the hips, the midsection. If you got a strong one of those and drive a lot of your movements towards that or from that area, that can help as well. And so, that being said, when you are preparing or you’re thinking about an event, know, be aware of your fatigue status. Be aware of any nutrient or hydration status you might need, and then also plan on proactively building that area that you might need, depending on the bench you’re going to do, many people. There’s great resources out there regarding balance where you can practice standing on one leg and reaching down and getting paper cups is a good example to build all those areas ’cause not only are you working on the major muscle groups that surround that joint, but you’re also working on the stabilizers, which are many times very small or fatigue quite quicker. Mary Leigh Meyer: Nowadays people rely on the Internet to figure out what to do. Should I do this, should I do that? When is it something that people need to go talk to their health care provider about? Martin Mufich: Okay, from an issue standpoint, whether you don’t know what it is, if it’s a tear, or sprain, or strain, bottom line, it’s not working. Common right now, it’s a commonly held belief if it’s not getting better by saying not getting better, if the swelling, because swelling is a natural response to an injury, if that swelling’s not reducing and/or pain is not reducing within 24 to 72 hours, then definitely seek help. Now as far as trying to be proactive, depending on what you’re trying to do, sure, Internet searches can have some valuable insight. You wanna try to see the sites that you’re going to seem to be reputable, but another good resource is to get with like-minded individuals and groups, whether it’s a running group here in town and then find out who they talk to ’cause it’s not so much going to your general doctor because they don’t know. They might refer you to a sports person, but maybe there’s trainers or sports massage therapists that you can work with as far as trying to figure out how you need to best prepare yourself for this event. And then also, it’s just not about running and using your legs. It’s about cardiovascular, it’s about stretching, it’s about all that, just exercise, general exercise stuff. So, cross-training is a really great idea. Maybe it’s the stuff that is, whether it is you’re not hitting the ground on pavement, running all the time. You’re swimming, you’re doing other things to where it’s not so much impact on your joints. Mary Leigh Meyer: But you’re still building back that strength. Martin Mufich: Right. You’re still working on your, you’re increasing your stamina and your cardiovascular aerobic activity. Mary Leigh Meyer: And is your left hand the one that you broke? Mary Leigh Meyer: Or your left arm? Sam Craft: Yeah, I’m sorry. My right hand is my dominate and my left is the one that was broken, but it’s still, it’s significantly different, not just I’m right hand dominate. So, I guess over time, can that damage be repaired via strength training or stretching? Or if something is torn like this, how do you recover from it? Martin Mufich: Once again, that kinda depends on what was injured, right? So, if it’s a muscle, if it’s a muscle that can once again get replenished with blood and get the proper nutrients to it, many times it can be repaired to a point. One thing I like to bring up is that when these tears occur, the body naturally lays down these collagen fibers. And the way that it was explained to me was that it’s kind of like a quilt, many fibers weaved together, for lack of a better term, an internal scab. And so, if you think of a person that maybe injured a calf muscle and tore the middle of it, this internal scab is laid down, but it may stay there for a long time. The body might not break it down, and many times they will go to sports massage therapists or Rolfers to kind of break that up to get the fibers to line back up so that muscle once again works as it should. Now to go back to your question, there is a deficit on one side to the other. So, will it ever come back? Maybe, maybe not. One great idea to do would be to isolate the site. Maybe instead of doing a bench press, we’re using one bar with both arms to use two separate dumbbells and build because that area that’s been injured, if it is a ligament or a joint area, or a tendon that goes, attaches to that, from the muscle to that bone, it’s really good to try to stabilize as much as you can and build as much as you can, that area to kind of beef it up. Another point I really want to discuss is the use of stretching, being sure it’s stretched. A lot of people will do a lot of weights and not stretch afterwards, but also the idea of balance with your balance muscles. You’ll see people in the gym that do a lot of crunches, and then they don’t do back exercises, or they do bicep curls but they disregard the triceps. This, while it may be building this muscle, in the long term, it’s throwing their posture off, which can lead to other issues. Mary Leigh Meyer: Doing those kinds of things will help prevent these types of injuries in the future? Is that right, doing these? Martin Mufich: I think you’ll be able to run with a more balanced, for lack of a better term, a more balanced body where your posture is better. Sam Craft: I never thought about tying in stretching to posture and other parts of just being every day, normal life, and even working out your core and then not working on your back muscles. I never, I guess growing up in football programs and all that kind of stuff, you’re taught to heavy lift weights and all this. I know that’s changed a lot over the years, but I think there’s a big misconception that people just want to go out there. I’m just gonna go out and work out, and that’s gonna make me better. I think you really need to go get a solid plan from somebody who knows what they’re doing, it sounds like. Mary Leigh Meyer: And you need to do it properly, too. Sam Craft: Yeah, yeah. If you do this muscle, you have to do these muscles, too. Sam Craft: I never realized that. Martin Mufich: Yeah, and it can be, a lot of people, I don’t wanna do that! It hurts when I do lunges, that type of thing, so you have to be dedicated to it and think about the longterm goal of your health. And once again, just as a general thing you wanna do, you wanna enjoy what you’re doing. If you’re gonna put time, and effort, and possible resources into this event, you wanna be sure that you’re enjoying what you’re doing. And many people that, for them, running or for example, is how they deal with stress. Once they get injured, then they are super stressed ’cause that’s how they usually deal with a workaday demands and things, so take that into account. Mary Leigh Meyer: Let’s talk a little bit more about RICE. Mary Leigh Meyer: We mentioned it earlier, rest, ice, what is it? Compression? Sam Craft: I thought you meant like the food rice. Mary Leigh Meyer: Well, it is almost lunch. Mary Leigh Meyer: So, what is the R? Mary Leigh Meyer: And what does that mean? Martin Mufich: Just get off it, basically the areas injured. Let the body do its work of trying to send its needed resources, its inflammatory processes, the white blood cells, everything to that area to get that. The injury that occurs, things get torn at a micro level. Cells are being broken really, and so you want the body to send its resources to that area and get those wastes out of there. So, it’s just giving it time to heal. Mary Leigh Meyer: And that’s when you break the sling out or the crutches out? Is that right? Martin Mufich: Yeah, it could be. It could be as much. Mary Leigh Meyer: Is that RICE? Mary Leigh Meyer: Or rest? Martin Mufich: The rest component of it, yes. Mary Leigh Meyer: So, what is the I? Martin Mufich: I is for ice. And so, yes, we want the inflammation process to begin, but a lot of times that can hamper that area. The swelling can impede that area from working just ’cause there’s a lot more fluid in that area. And one of the big things is that swelling impinges the nerves, the nerves cause a lot of pain. So, by putting ice on there, it reduces the inflammation process, and it also gives those nerves, the nerves the sense heat and cold, gives them something else to think about. So, it gets your mind off of it ’cause that area is so cold. Mary Leigh Meyer: And how long do you put ice on, say I rolled my ankle. How long do I need to do this step? Martin Mufich: That’s a great question. One of the sources that I researched said you put ice on for 10 minutes, you take it off for 30 minutes. Never put ice on, just ice. You really want a cover of some type, whether it’s a bag or a towel. You just don’t want ice on there because you don’t want to injure the skin. Mary Leigh Meyer: And now C? Martin Mufich: C is compression. So, once again, that’s there to try to help reduce that inflammation. So, if you think of somebody that quote, unquote twisted their ankle, now they’re laying on the couch. They’ve got their foot up on a pillow and they’ve got ice on it, and they’ll put a wrap on there to try to help with that compression and try to keep that inflammation process down. Mary Leigh Meyer: And now E, the last in the RICE. Martin Mufich: Yeah, so elevation would be you’re just putting that extremity above the level of the heart. And so, therefore you’re not gonna get, if you’re thinking about standing up on a hurt foot or hurt ankle, you can believe that gravity and all that helping to draw all that fluid down there, so you wanna lift that up so that once again, kinda reducing the inflammation in the area. Martin Mufich: Yeah, and I think it goes hand in hand with the compression part of it, but you wanna stabilize the area when you think of people that are proactively hiking in difficult terrain. Even before they go out there, maybe they’ll have boots that are fitted correctly for them, but if you are at a place to where you do have some type of an injury, you may say that you hurt an elbow or something like that. You may want to try to stabilize that and somewhat isolate it from moving, so. Sam Craft: So, when you talk about sprains and tears, something that comes to mind, you mentioned it affects your whole body. So, doing things like repetitive keyboard typing, or lifting weights, or running, is that, I don’t wanna say that they’re safe, but are there ways to prevent or maybe be aware of what you’re doing to help prevent getting carpal tunnel or running and re-injuring yourself again? Martin Mufich: That’s a great question. If you realize that you’re doing something over, and over, and over, number one, you wanna be sure you are in the right posture for that, ergonomically correct if you’re typing all day long. If you’re running, being sure that possibly you change up the terrain that you run on. Maybe you run on a rubberized track, maybe you run on pavement, maybe you run on a sidewalk, trails. One thing that people don’t consider is that many roads have a camber. So, they have a little bit of a crown. So, if you’re always running the same way on the same road all the time, there might be one side higher than the other. And so, you’re foot strike isn’t true. So, you wanna take all those things into consideration. So, if you are say, it’s a typing thing, you wanna take those 10 minutes, 15 minutes breaks every hour to get up and move around, and get your posture correct ’cause when you think of us, many of us, what we do, we’re sitting at a desk or something like that all day long. Just our posture is a real big thing and just think how we sit where our hamstrings are somewhat shortened and quads are lengthened, and that’s just happening hour after hour, day after day after day. Sam Craft: I just never thought about, there’s so much more involved and that’s the reason I love this podcast is that there’s so much more into little things that I never, ever thought about. For example, running is one of those things that it just never clicked that running on just a small, little different grade could totally affect your entire body and not just giving you shin splints. Martin Mufich: Yeah, you can. When we were training for one long-distance run, the trainer would have us do laps in a certain way and then equally laps the other way so that the camber was somewhat equal for both. Sam Craft: Kinda even out. Yeah. Martin Mufich: Both legs, yeah. Mary Leigh Meyer: At the end of the day, what do you do for a sprain, strain, or tear? Martin Mufich: Well, you spoke to it already, the idea of RICE or RICES. And it’s really important to do that during the first 24 to 72 hours after the injury occurs, if this is all possible. We hope within that time that the swelling and the pain does subside somewhat, but if it isn’t getting better or if you can’t put weight on it, definitely seek a provider, but that’s kinda after. Have the forethought and be proactive enough to try to plan for these things and see what you can do to better prepare yourself so these injuries don’t happen. And then as we also mentioned, just know that any type of exercise you’re doing is really beneficial for your whole being. And there will be these little injuries that occur, but know of the greater good. Sam Craft: Yeah, well little steps could go a long way into helping you not sprain your ankle or anything in just, I mean, what? Five minutes of stretching? 10 minutes? What’s a good stretch time? Martin Mufich: So, they’re really ready to go, and they’re ready to really compete at a high level. Mary Leigh Meyer: Martin, anything else? Martin Mufich: No. Thank you for letting me come on the show. Sam Craft: Thank you for being here. It was really awesome. Thank you. Mary Leigh Meyer: Perfect. Thank you, everyone for listening. This has been another episode of Sounds Like Health.